The Secret Golf Flexibility Solution Designed To Eliminate Muscle & Joint Stiffness, Fatigue & Soreness, whilst Increasing the Range of Motion, Flexibility & Distance from Your Golf Swing! IMAGINE...having the flexibility to increase the speed, power and distance from your golf swing, regardless of your age! IMAGINE...not being stiff and sore after a round of golf because your muscles and joints can handle the physical pressure of a tough game of golf! IMAGINE...having the flexibility of a golfer half your age! IMAGINE...the amount of injuries you would reduce by having this flexibility! 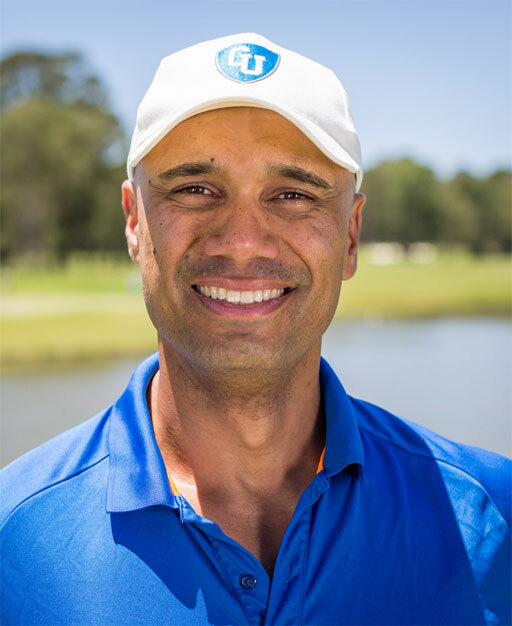 Golf University in conjunction with internationally renowned strength and conditioning coach – Alani "Storm" Mala have created a stretching solution that is going to help you become more Flexible, Powerful and Confident with your body and the performance of your golf swing. It’s called the Golf Flexibility Mastery Program and it’s designed to help you eliminate your muscle and joint stiffness, fatigue and soreness whilst also increasing the range of motion, flexibility and distance from your golf swing – which will ultimately lower your scores – so you can enjoy your golf a whole lot more! A Very Easy to Follow 8 minute Flexibility Program that you can perform before, during or after a round of golf – you can even perform it at home, the gym or in the office. Further Reduce your Stress, Tension and Injuries - with 5 Bonus Self Massage Videos. We've been told we're CRAZY to give away so much value for such a minor investment. But as you'll see, it's all worth it to help make YOU a better golfer! And at Golf University that's our mission and our passion. The videos in the Golf Flexibility Mastery Program are accessible on the internet – on your Personal Computer, iPad / Tablet or Smartphone, which means you can watch them at home, the office, the gym or even at the golf course, 24 hours a day – 7 days a week. Think of Golf University's Golf Flexibility Mastery Program as like having your own Personal Trainer!